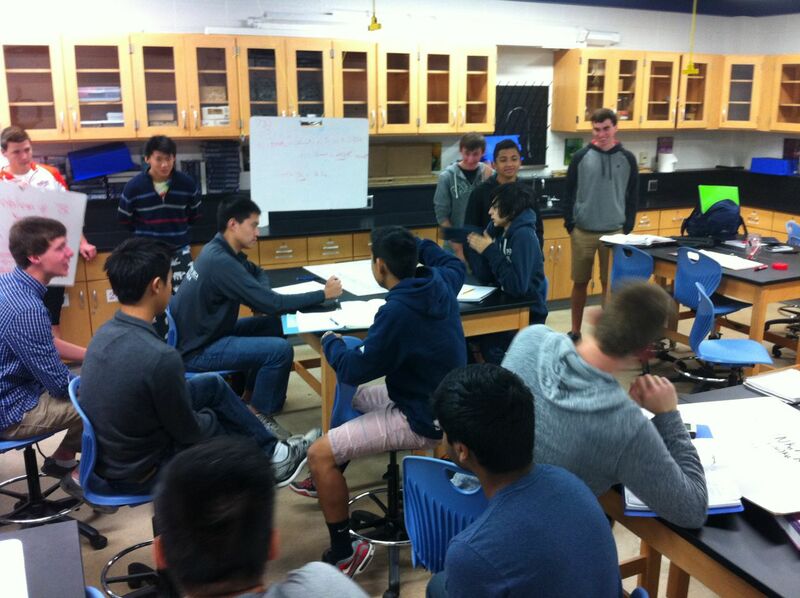 Today in AP Physics 2, we whiteboarded (okay to making that a verb?) three problems. Two groups whiteboarded each problem and we compared and contrasted the two solutions. For one problem where students were calculating the increase in pressure in a tire due to an increase in temperature, both groups presented similar solutions and the same final answer. Fortunately, one student spoke up and questioned the final answer of both groups. He pointed out that both groups failed to based their calculations on the absolute pressure in the tire and instead used the gauge pressure. 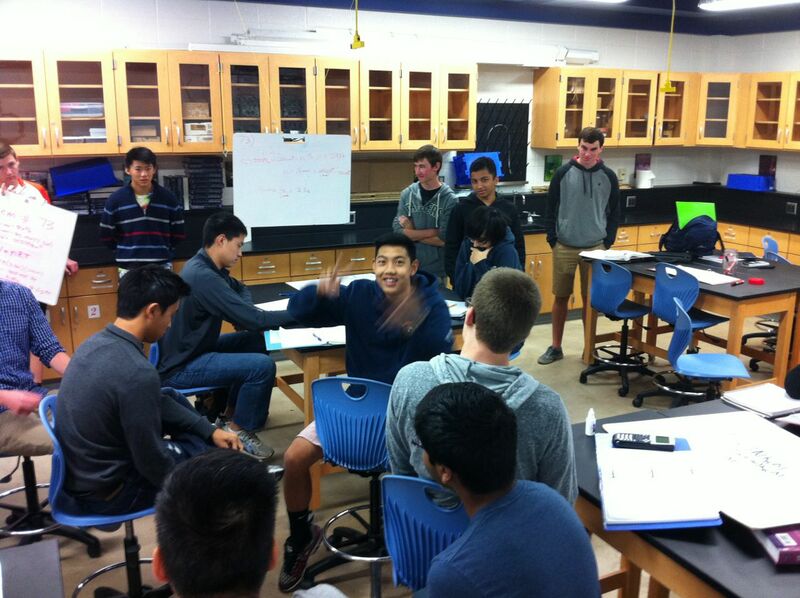 It was great to watch him explain the error and his solution to the entire class as he spun around in his chair so he could address everyone. I captured a couple of pictures mid-spin, but he noticed me!